Neil Lane engagement rings are coveted by celebrities, brides-to-be and contestants vying for a “final rose” on ABC-TV’s hit reality show “The Bachelor.” Find out how the Brooklyn-raised artist became a designer to the stars. For this post, we turn to guest blogger and industry veteran Dawn Moore, who mined her contacts to get an exclusive interview with Neil Lane. Read on to learn how humble beginnings, a chance encounter in Paris and a life-long love affair with antique jewelry made him one of the most sought-after engagement ring designers in the industry. 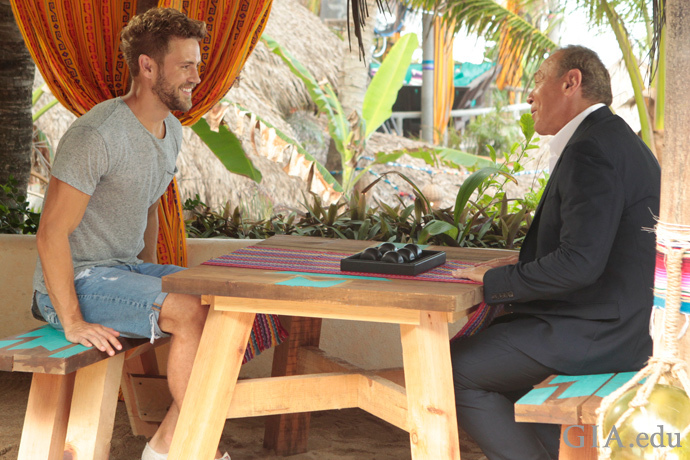 Neil Lane meets with contestant Nick Viall on ABC-TV’s “Bachelor in Paradise.” Nick will try for love again as he stars as “The Bachelor” in the show’s 21st season debuting January 2017. Photo: Rick Rowell. Courtesy: ABC Copyright: 2016 American Broadcasting Companies, Inc. All rights reserved. DM: How did you become Hollywood’s go-to jeweler for vintage engagement rings? 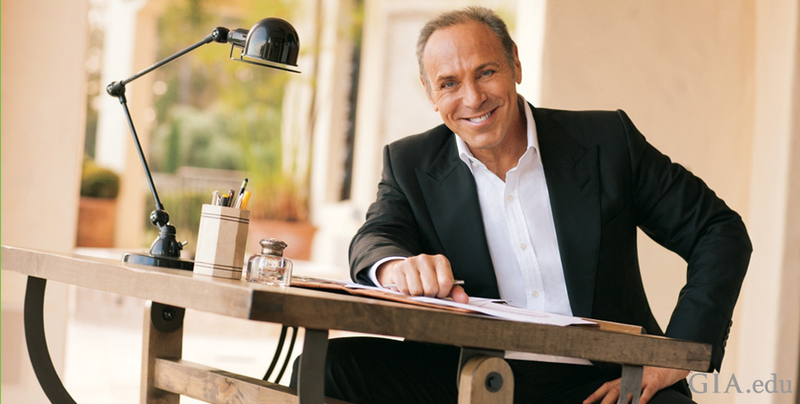 Neil Lane: When I came to California in the late 1980’s, I had a little counter at a vintage mall called Antiquarius in Beverly Hills and I didn’t really know where I was within Los Angeles or even in relation to Hollywood. Barbra Streisand and Goldie Hawn were my first clients at that little counter. I never really liked diamonds per se, that really wasn’t my thing. Actually, I didn’t even like engagement rings – it’s kind of crazy. They were annoying to me! My expertise was in 19th century gold. 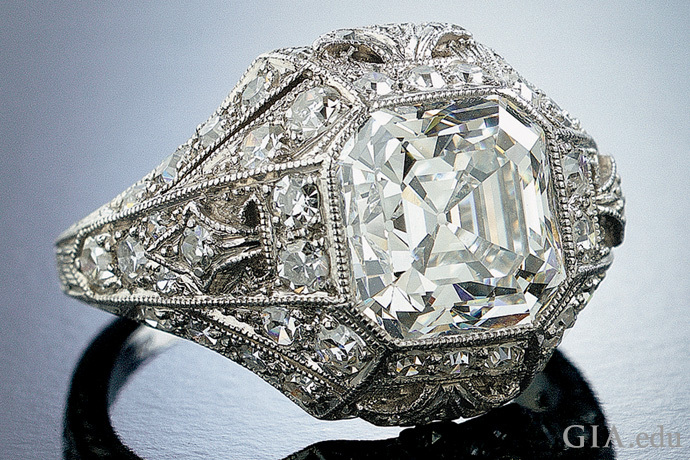 But I really started looking and studying these Edwardian and Art Deco engagement rings and began to love them. I would study the detail – tiny little diamonds, curves, millgrain, unusual stones, and I was fascinated. Eventually, Hollywood started appreciating antique and vintage styles and young celebrities were looking for something different. I started making rings for their engagements. I made so many engagement rings – people liked my aesthetic and I began to get noticed. DM: You were going to be an artist – a painter – what turned your creativity to jewels? Neil Lane: Because I loved the flea market! As a teenager in Brooklyn, I was fascinated by what people threw out. I grew up in a house with antiques. My father would say, “Be careful, that’s expensive!” So I had this concept that older objects were more valuable. I was in high school and I was exhibiting at the Brooklyn Museum. Neil Lane: What shifted was, I was finding these things in the street – you know I never worked for anyone – and I discovered the Sunday 26th Street Flea Market. I didn’t even have a table – I’d put my items on a cloth and I’d make $300 at 17 years old. Then I’d go home and paint and draw. With this money I went to Paris. DM: Paris is definitely vintage jewelry heaven! Did you go with the intent to start collecting? Neil Lane: I might have been 20 or 22, drawing and painting in Paris – studying art in the museums. But I was becoming fascinated by enameled jewelry and color and started buying little bits of art nouveau jewelry – not expensive. One day, wandering the rue du Faubourg Saint-Honore I found myself in front of a store. 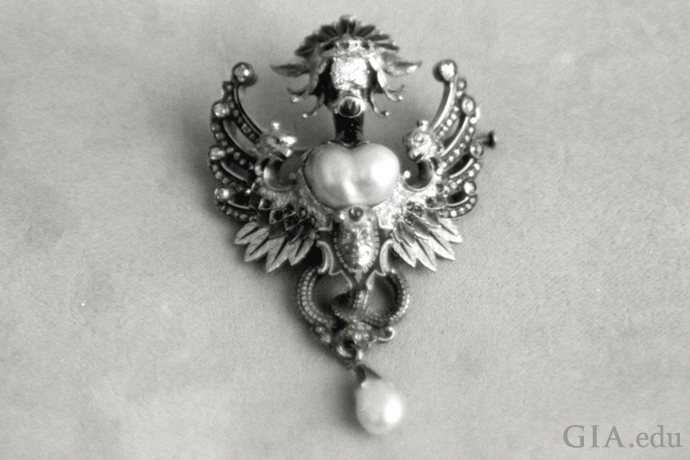 In the window was a demon-like brooch with a big pearl in its belly and a big diamond in its mouth covered in red and green enamel. I couldn’t take my eyes off it! The shop was closed, but I kept knocking on the door until they finally let me in and showed me the brooch. It was priced at $4,000 – an incredible sum at the time: I only had $10,000 to last me for my entire trip. I tried to negotiate with them and they threw me out. I probably walked around the block 30 times until I went back to shop and the same routine – but this time I bought the brooch. And I trembled with it. It was my first visceral, experience with jewelry. DM: Fancy cuts and colored diamonds are clearly your passion. What are you looking for in a stone? Neil Lane: Shape, shape, shape. I’m a very visual person. Shapes inform me, they teach me. 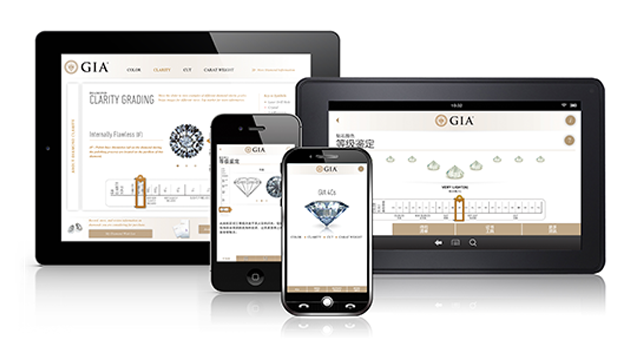 A lot of the cuts today are based on the yield, but they didn’t have that technology 100 years ago, so some of the diamonds are much more lumpy and imperfect – they have character. 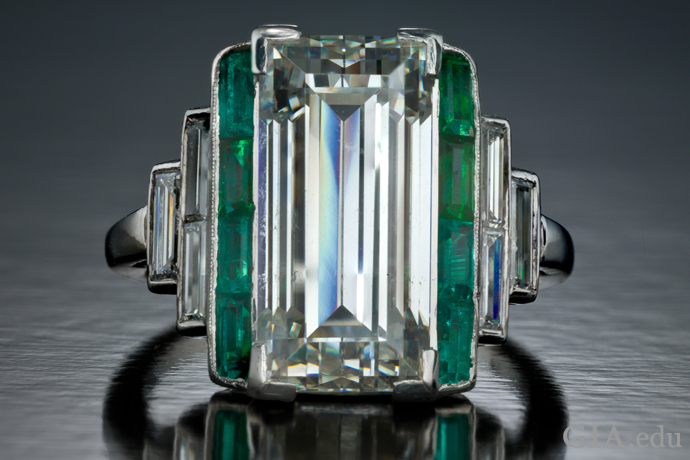 So when you find an Asscher cut from the 1920’s, there is much diamond material above the girdle and when you look into it you can see eternity. I just fall in love with these old diamonds. DM: Your sophisticated eye for the glamour of estate diamonds translates beautifully in your collection for Kay Jewelers. 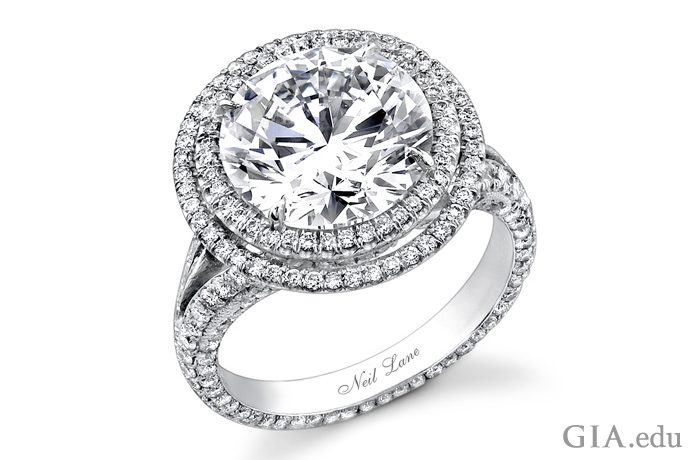 Neil Lane: I believed intuitively that bridal would be for me a very, very important part of my life, so it was a kismet moment with Kay Jewelers. We had a great first meeting where I described to them what I thought America should do (laughs). I thought America was ready for pretty. I also suggested they should sell cushion-cut diamonds. When Jenna Dewan received a cushion cut for her engagement to Channing Tatum it got a lot of attention. The next year, the cushion collection was the best seller. Then we started introducing my aesthetic: pear shapes, marquise shapes, and it was fantastic. DM: What trends do you see in engagement rings? Are we ever going to see yellow gold prevail again? 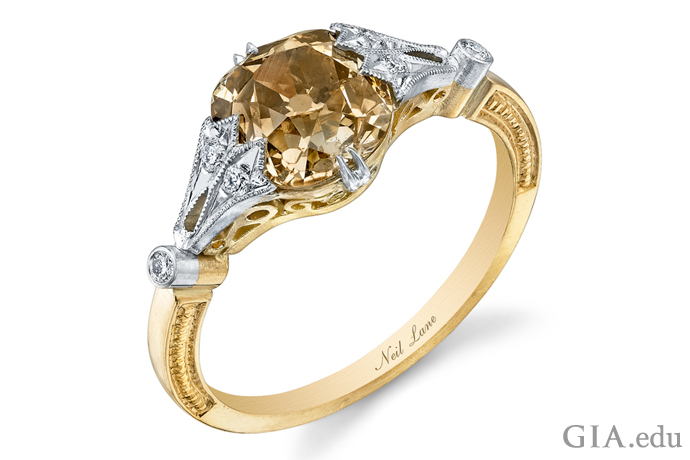 Neil Lane: I worked with athlete Amy Purdy to design a yellow gold ring with a cognac diamond surrounded by filigree and beadwork. The Miley Cyrus ring got a lot of attention – that was yellow gold. I created an Art Nouveau style ring – hand chased with a vintage diamond. Yellow gold is a beautiful thing. I don’t like to make claims … but I don’t think we’re going to see yellow gold take over again. What’s doing very well is rose gold and we mix it with white gold and it’s very, very pretty. It’s evocative of a past. DM: You’ve loaned jewels to some of the most stunning women in Hollywood. 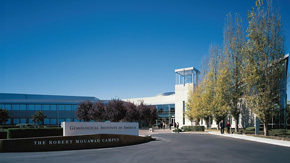 Your designs are on their ring fingers and you have one of the world’s premier vintage jewelry collections. What’s still looming out there for you? Neil Lane: Interesting… Maybe taking my design elements into china patterns or a silver vase or linens. Or maybe… a wedding dress! 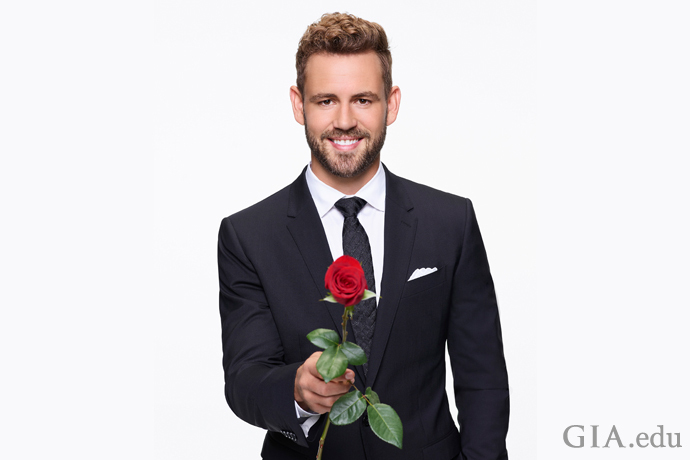 ABC-TV’s “The Bachelor” Nick Viall © 2016 American Broadcasting Companies, Inc. All rights reserved. DM: Speaking of weddings – don’t miss Neil Lane’s guest appearance on the 21st season of ABC-TV’s hit reality series “The Bachelor” as he helps Nick Viall pick out an engagement ring – or so we hope! After being a castoff as a runner-up on two episodes of “The Bachelorette,” we hope to hear wedding bells for Nick Viall and his ladylove.